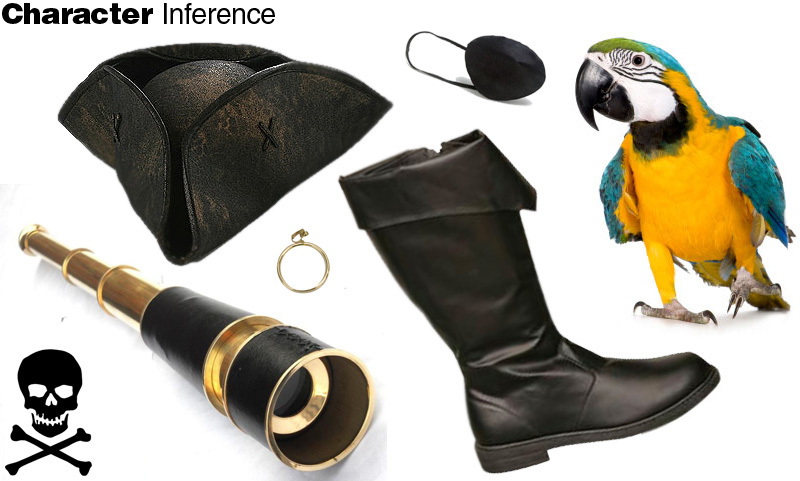 For a fun activity have kids make inferences about characters. For example, pirates, why do they wear a patch? Why do they have a parrot on their shoulder and so forth. Think of other kid-loved characters for inferencing: knights, princesses, wizards, etc. Bring in props or print out pictures of items different characters wear or carry. You could mix up items and have kids figure out what type of character the items belong to (don't give them any hints about the character). They might see a pirate earring and match it to a princess. Then, have them write down why they think the character needs that item.